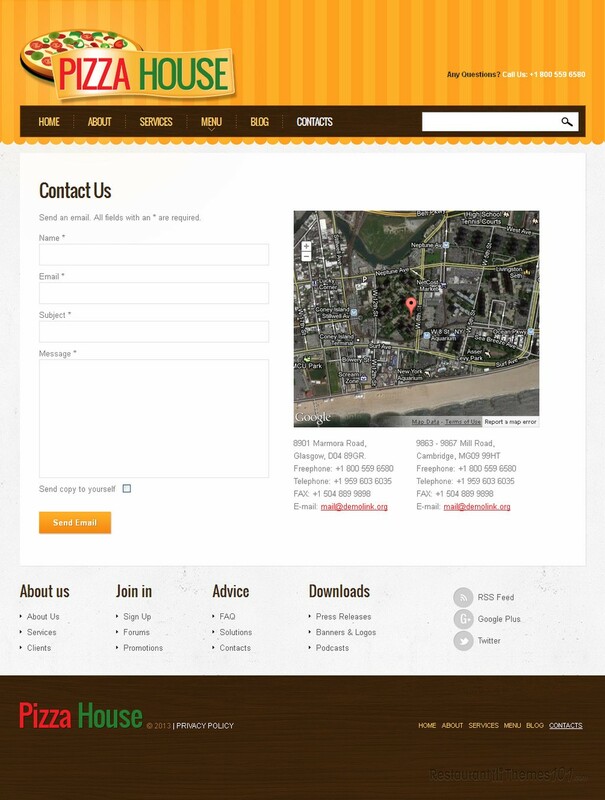 Looking for a professional responsive Joomla pizzeria template? Your quest might be over! 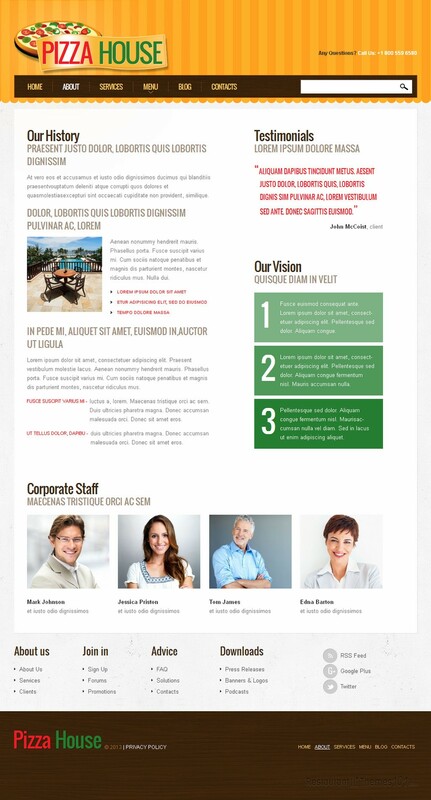 Pizza House 2 is a great looking template created by Amour, and featured at Template Monster. The colors of this template are light gray and orange, with red details. Nice, interesting patterns enhance the whole layout look, making sure the focus of attention is on your products and services. Everything looks very simple, and yet you will be able to post a huge amount of content, and feature the most important posts on your homepage, so your guests’ attention is always right where you want it to be. Various posts can be featured on the homepage with nice, quality photos added, and some teaser text. Each of them will be linked to the proper page and you can easily present your newest specialties, important blog posts, or anything else you would like your visitors to focus their attention to. A pleasant note or catchy phrase can be added to the homepage as well, and this is a nice way to make your guests feel welcomed at your restaurant. Creating your own unique menu with prices and large, quality photos will be very easy, and you will be able to choose whether you want a 2, 3 or 4 column menu. There is a blog section available as well, and this is where you can create many interesting posts for your guests. This template allows your visitors to register and login as they please, so they can comment on your posts and get involved – which they are going to love. Google Maps integration was added and placed in the contacts area. It will allow everyone to get clean direction to your restaurant. There is also a contact form included, for all of your guests to easily message you. Social integration was not left behind, and this template will connect your website to all the most popular social networks. 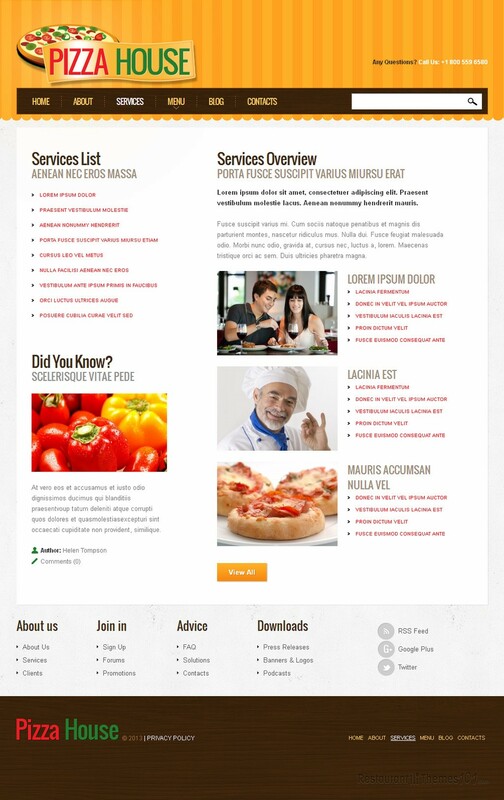 Pizza House 2 is a responsive Joomla Italian restaurant template. There are two smartphone and one tablet version of the template available, so you can be sure your website is going to look great on any device.